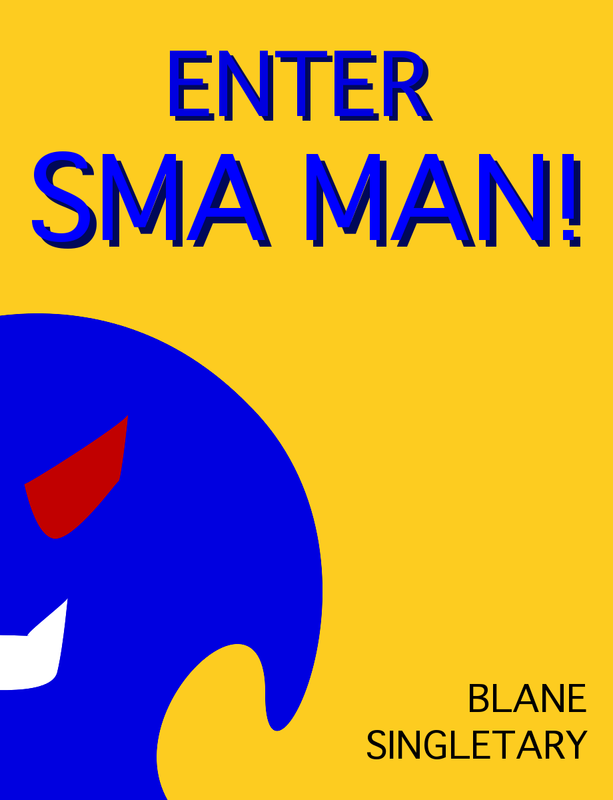 What I’ll be writing this NaNoWriMo… “Enter Sma Man!” | Sma Man's Rambling Expirations of his Unconscious! It’s November! Can you believe it? That means I and millions of others around the world are about to embark on a quest to write 50,000 words in one month, and have a blast doing it. I told you about the novel I began last year in an earlier post. I pondered using this time of great motivation to finish it. I’ve been crawling ever since November ended. I’m now to about 85,000 words total, and just barely digging into the third and final act. I’ve come to the realization that I’m getting a little burnt out on it. (A huge contrast to last year at this time, where I couldn’t wait to get started.) So, I’m going to set it aside this next month and get to another story that’s been begging to be written. The one constant has been his character. He’s a optimistic individual, sometimes too much for his own good. He’s very curious, which frequently gets him into trouble. Ultimately, in whatever he’s doing, he wants to have a good time. He’ll move onto something else if it gets boring. Oh, and he has super powers, but he’s not sure what those are. So one day, not too long ago, I asked myself, as I have many times, where did he come from? What is his origin? Then I thought, what if he doesn’t have one?! What if he just woke up one day in a hotel lobby, with no prior memories? And that’s it. He wouldn’t be one to care about what happened before that point, since he always finds enjoyment in the present. The past has a funny way of catching back up with you, whether you like it or not. Around the same time of his “origin” a horde of trans-dimensional demons took over a small town. Again, Sma Man’s not one to care about this too long, but when they look like him, and say he’s one of them, things get complicated. So, how does he reconcile his possibly dark and evil past with the new friends and life he’s made in the present? I don’t know. I’ll let you know as soon as I find out next month. This entry was posted in Ramblings, Writing and tagged NaNo, NaNoWriMo, novels, Writing. Bookmark the permalink.